Massimo Dutti, a Spanish brand from the Inditex Group that also owns Zara, makes its India debut on May 12, 2016. The world’s largest fashion retailer Inditex S.A. sought government approval to invest in the country over two years back. According to retail experts, Zara’s success in the country has upped the expectations of other foreign brands, including Gap Inc. and Hennes and Mauritz AB, both of which opened doors a few months before Massimo Dutti. The 5027 sq ft of retail space of the brand will house womenswear, menswear, footwear, accessories and custom tailoring. 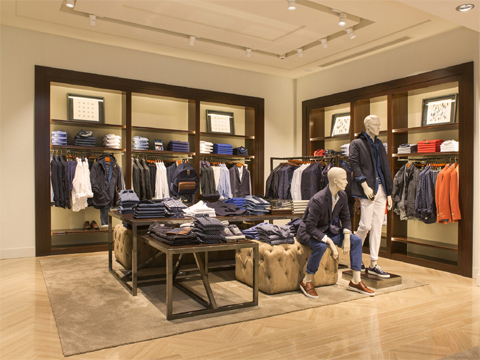 Globally, Massimo Dutti has 755 stores across over 72 countries. It was two years ago in 2013 that Grupo Massimo Dutti SA, a subsidiary of Inditex had filed an application with the Foreign Investment Promotion Board (FIPB), which, in early 2012, had rejected the group’s proposal to open stores on the pretext of violation of a certain Department of Industrial Policy and Promotion (DIPP) rule. The rule stated that the investor ought to own the brand it proposed to bring to the country. The brand ownership norms were relaxed subsequently, and Massimo Dutti started its search for marqee locations, including malls and highstreets to launch a variety of collections from high-end fashion to easy-going casual wear. This is the second joint venture for Trent and Inditex in India. Trent and Zara Holding BV, a unit of Inditex Group, set up a joint venture in which the latter holds 51 per cent and Trent the remaining 49 per cent. Zara, the first joint venture of Inditex S.A and Tata group’s hypermarket and department stores retail company Trent Ltd, was one of the fastest growing apparel and lifestyle brands in India, crossing $100 million in revenue within five years of starting operations with 16 stores. According to an expert who didn’t want to be named, it was the success seen by Zara that encouraged Trent to look into second-time venturing with Inditex S.A.
Inditex’s global performance is well above that of its store-based rivals. The parent company now sells in 29 markets globally and has bagged 15 per cent rise in profits as sales climbed last fiscal.